A “Chemical Smell” in an area just northwest of Tucson, Az has residents wondering just what is going on. A Chemical Smell goes hand-in-hand with different GeoEngineering Programs that have been observed by TLB readers and staff during the last few years. The latest result of GeoEngineering (chemtrails) has brought about the phrase “Chemtrail Flu” which got MS Media’s attention with the recent death of Prince, an out spoken critic of GeoEngineering. 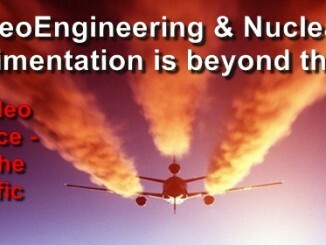 An Activist against GeoEngineering and a good friend of Humanity is Russ Tanner. Russ has been battling (as a sensitive) the “chemical smell” and associated health problems caused by GeoEngineering for over 10 years. Click here for a discussion of “Chemtrail Related Illness” on Russ’s website. Before we get to the Arizona story, I want to remind any of you reading this that are saying to yourself… “our government would never do anything that would put our health or environment in jeopardy”… I offer this short Video for your consideration. Now really boys and girls, if the government would do what you just saw in the video “on the ground,” why would they not do it “in the air” ? Especially considering the tech advancements of “spray-able” “test-tube” nano-particulates that can be loaded with whatever breathable Bug or Virus your Uncle wants you to come down with. The community in north Marana, northwest of Tucson, claim that the smell, which has been described as a “chemical smell” or “resembling diesel exhaust,” became noticeable a few weeks ago, and is so pungent in some areas that residents have been forced to stay inside and close their windows. The smell is being reported in the mornings, from 5AM through 8AM and has become such a problem that the community has created a Facebook group to compare notes. Many residents believe that the smell, and the smoke, could be coming from a nearby granite plant that produces asphalt as well as other products, or a local cement plant. Others, however, are not convinced, or at least not convinced that the smells are normal smells from either business. Pima County Department of Environmental Quality has received numerous complaints about the issue, and are said to be looking into it, but have not as yet offered answers. It had become so bad that schools in the Tucson Unified School District and Sunnyside Unified School District had to be evacuated. So far, the granite plant seems to be in the clear, after the Arizona Department of Environmental Quality (ADEQ), claimed that they found no violations earlier this week.